Art on the Vine, the monthly art show at Mari's Wine Bar, celebrated its first anniversary with new works by the artists who have been showcased here over the last year. The festivities included complimentary food and live music with saxophonist Sergio de la Trinidad. 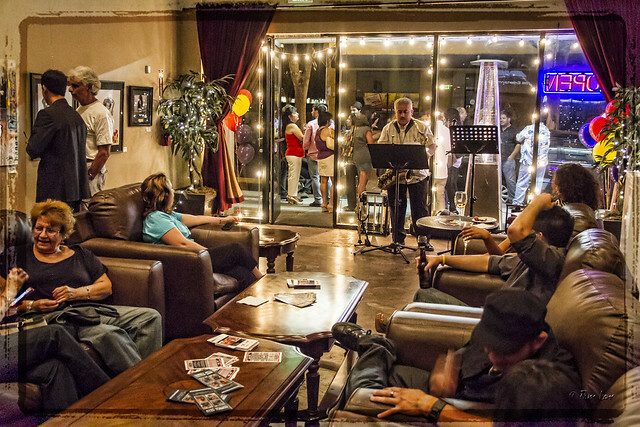 The monthly shows have been put on by a team of Downey Arts Coalition members. Congratulations and thanks for all your hard work!